Some of my recent work has involved design and print of Promotional Goods branded with my clients’ details. 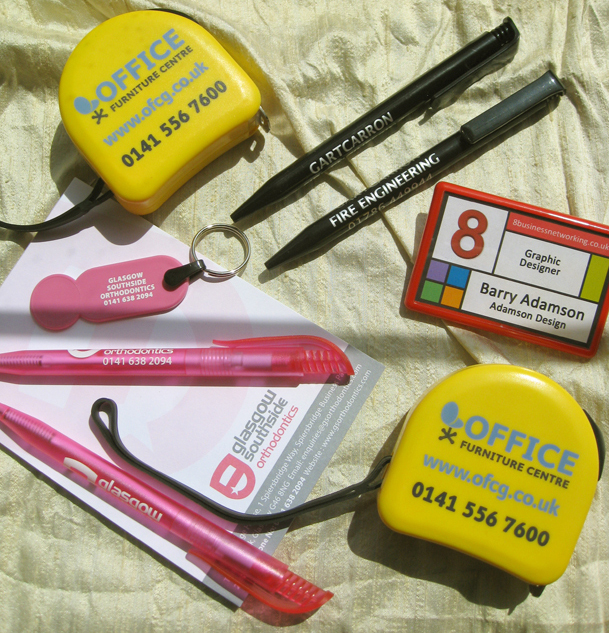 Have a think if colourful pens, notepads, badges or trolley-coin keyrings branded with your logo would attract customers to your product or services. The Office Furniture Centre selected quality 5-metre tape measures which were ideal gifts for potential customers measuring up for new or used furniture. There are a wide range of gifts available and I always fill the print area to give a strong branding and message.